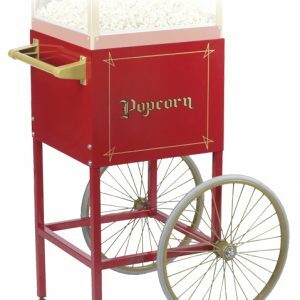 #2649CR Cart for 4 oz Fun Pop Popper | Pronto Pup Co., Inc. This red cart has sturdy, welded legs, adjustable feet, and is designed for easy assembly. 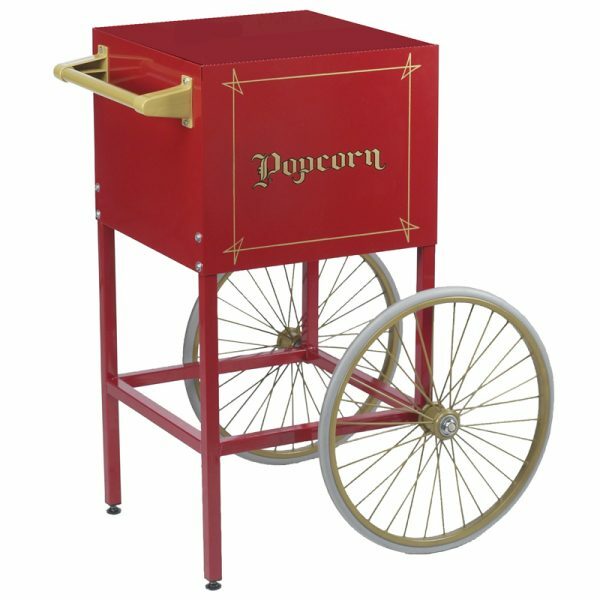 It also features a storage compartment with easy access door. 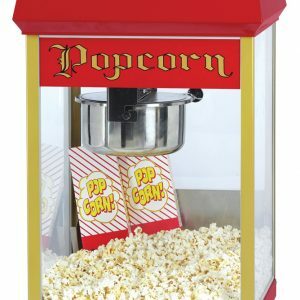 Start popping popcorn whenever you want and where ever you want. Easy to move and looks great at both home and in the workplace. 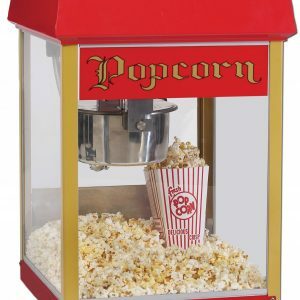 See our large assortment of popcorn machines, oil & salt kits, and all other popcorn supplies.